“A watch that outlives every trend.” Of that Freudin’s editor-in-chief Nikolaus Albrecht is sure. The rose-gold plated titanium is wonderfully timeless; the white dial marks the time with purism. They ensure that the watch goes equally well with t-shirt and jeans as it does with a trouser suit. 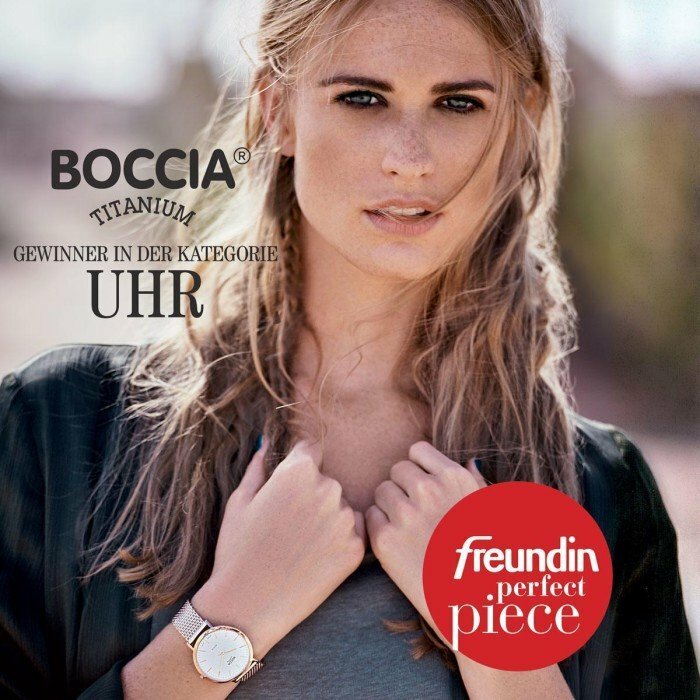 The winner is: the rose-plated watch with titanium and sapphire glass from Boccia.